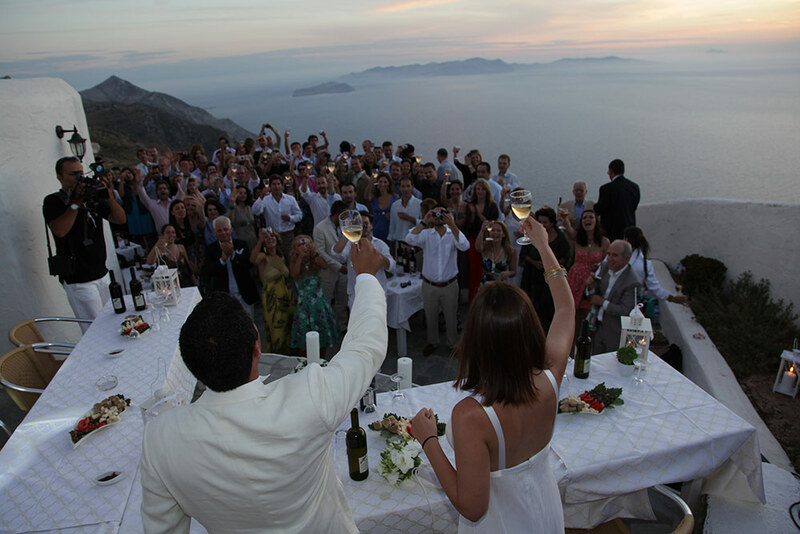 The 30 acres of our lush vineyard and the islands of the Cyclades on your feet, will ensure a dreamy reception in the colors Aegean. 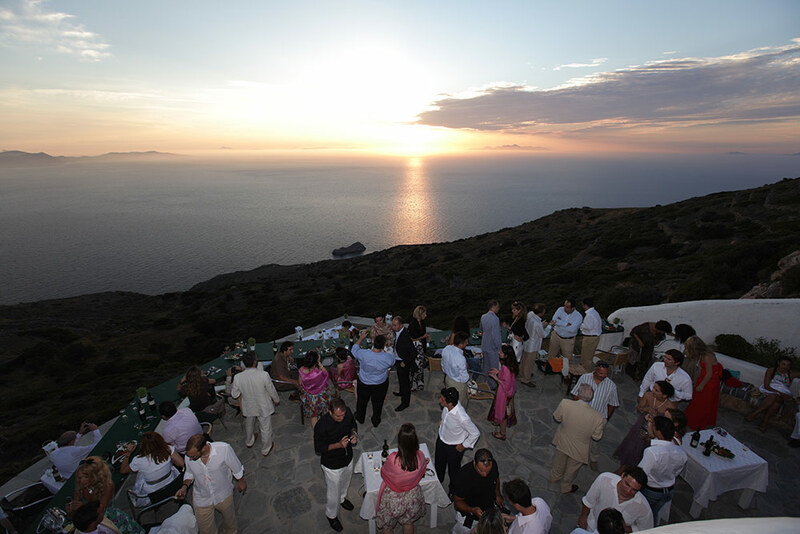 The estate, layered and designed to the last detail, exudes serenity, warmth and tradition by creating the feeling of a majestic, private paradise. 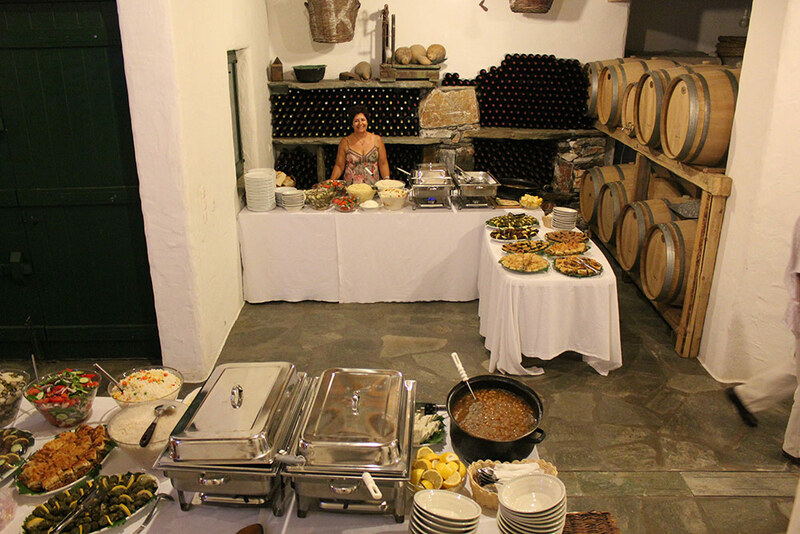 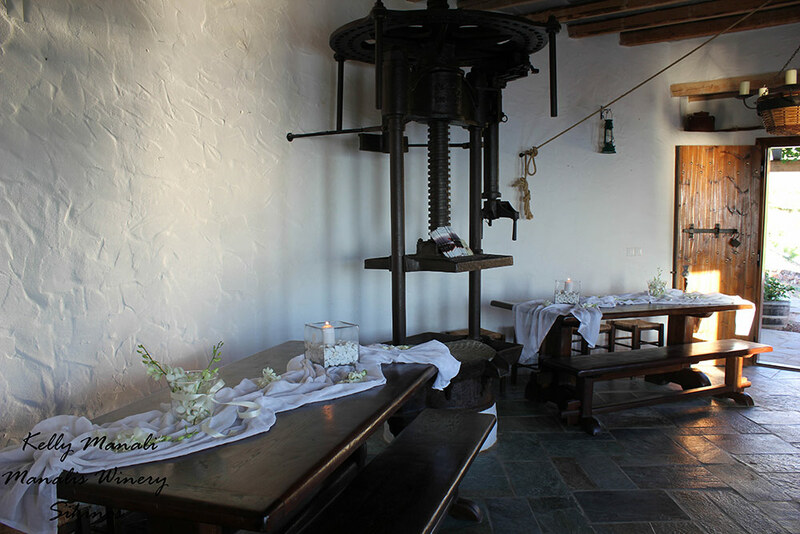 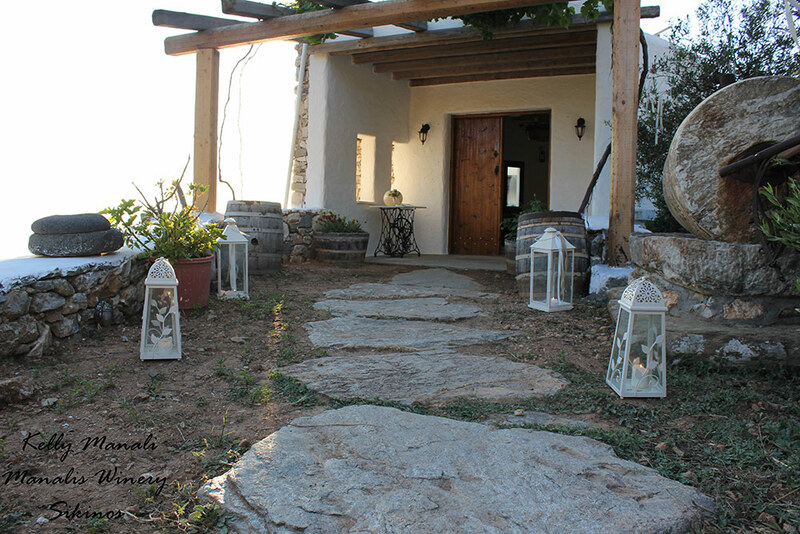 Upon entering the property we see in the entrance area to monastic tables and wine taster. 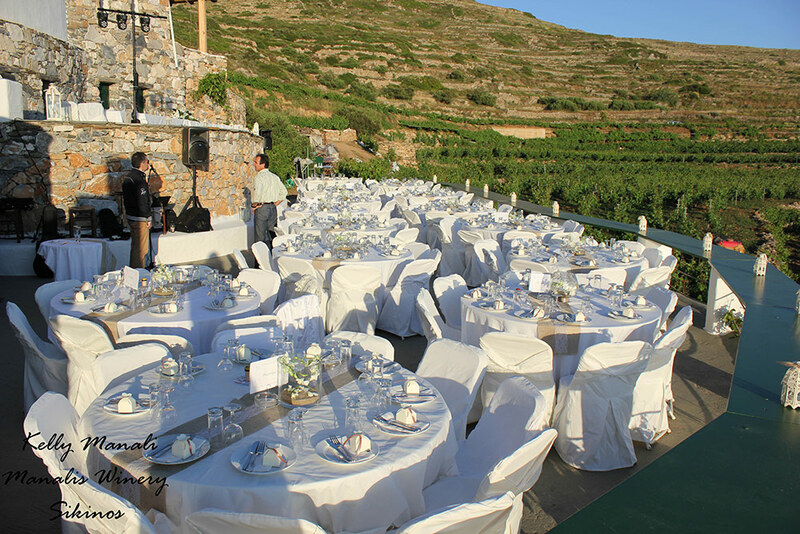 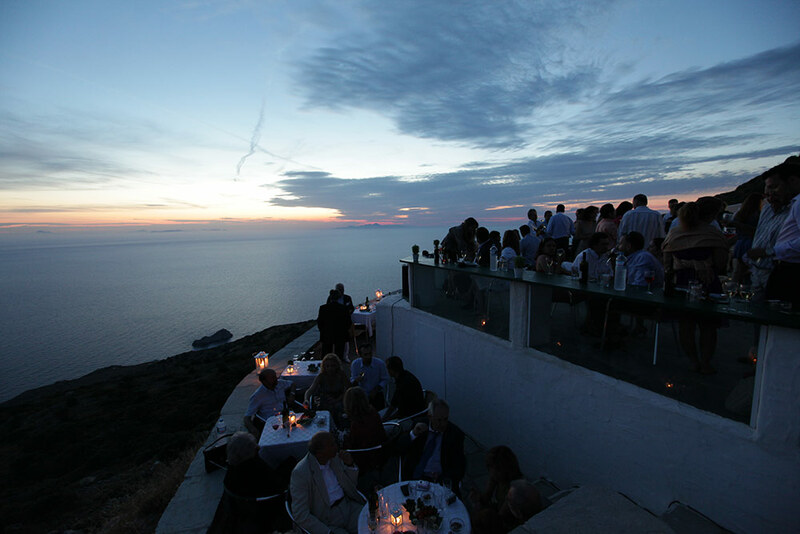 Then the main outdoor area is surrounded by our vineyards the starry sky and the nearby illuminated islands while it can accommodate up to 300 people. 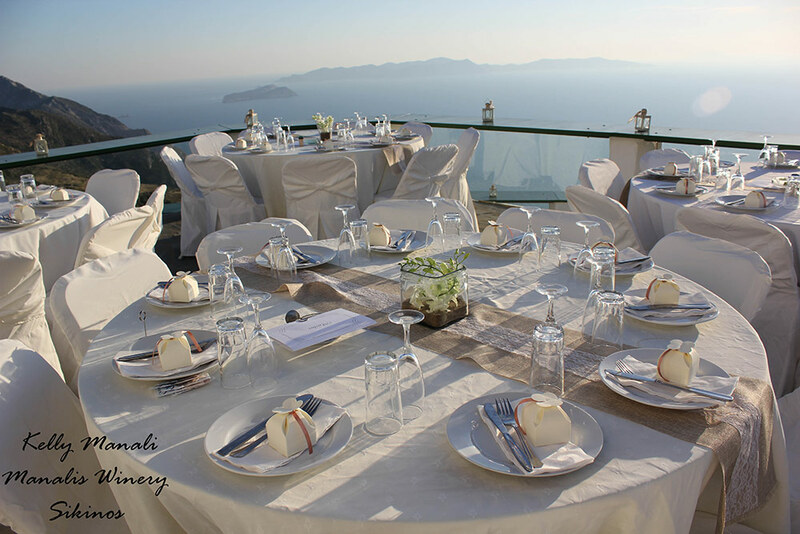 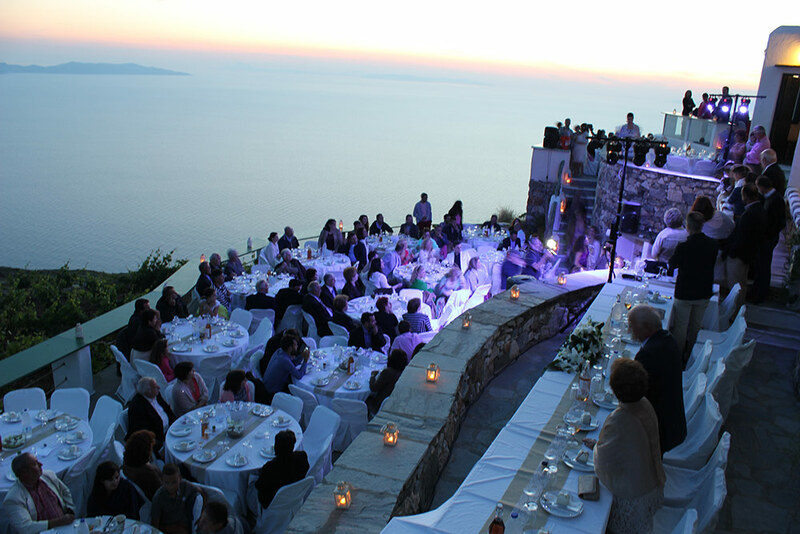 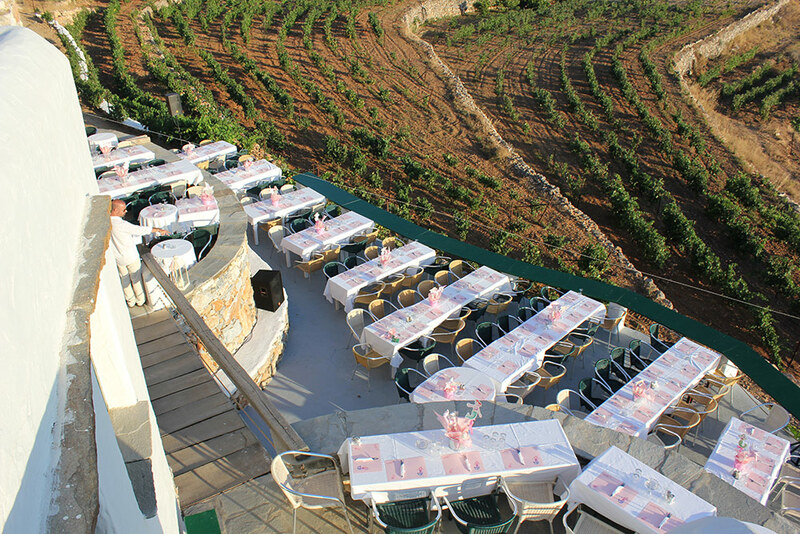 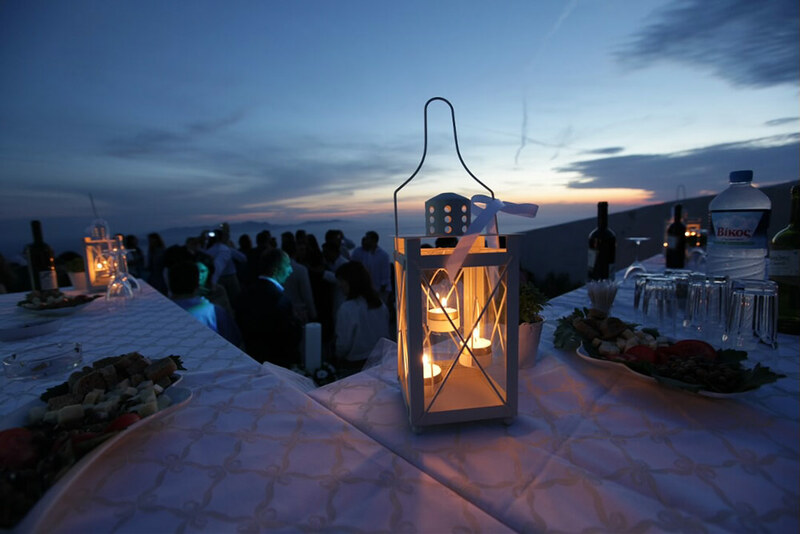 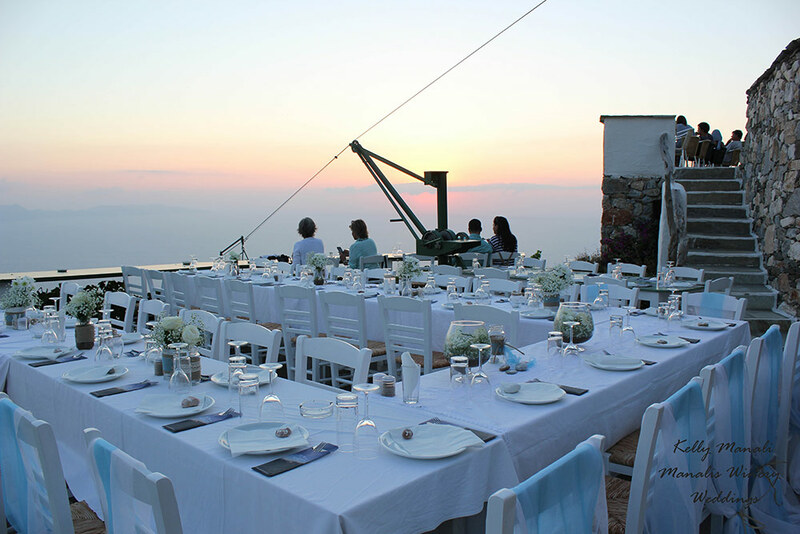 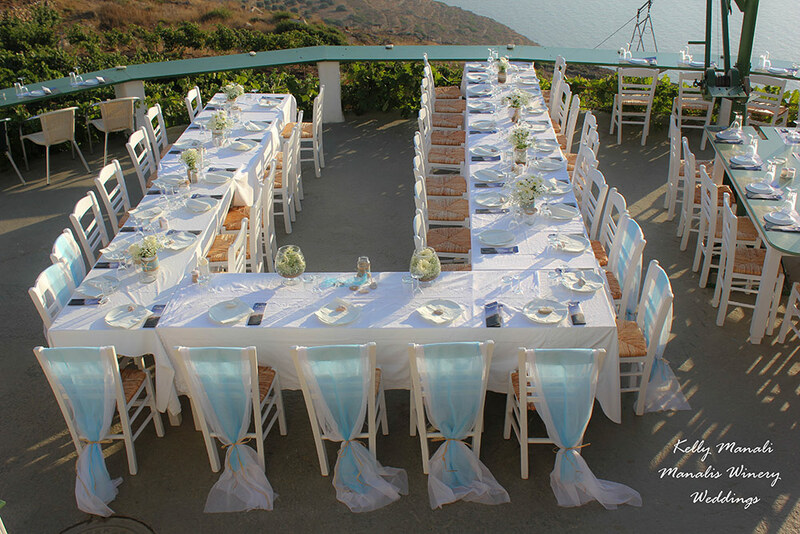 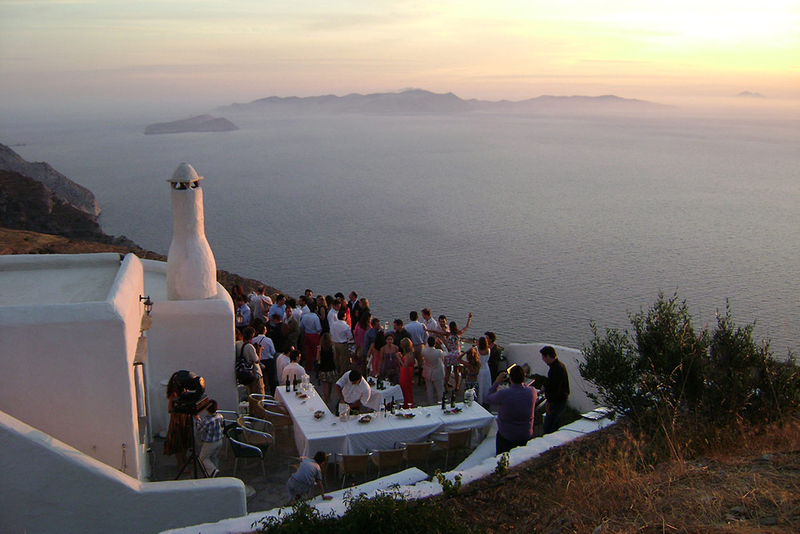 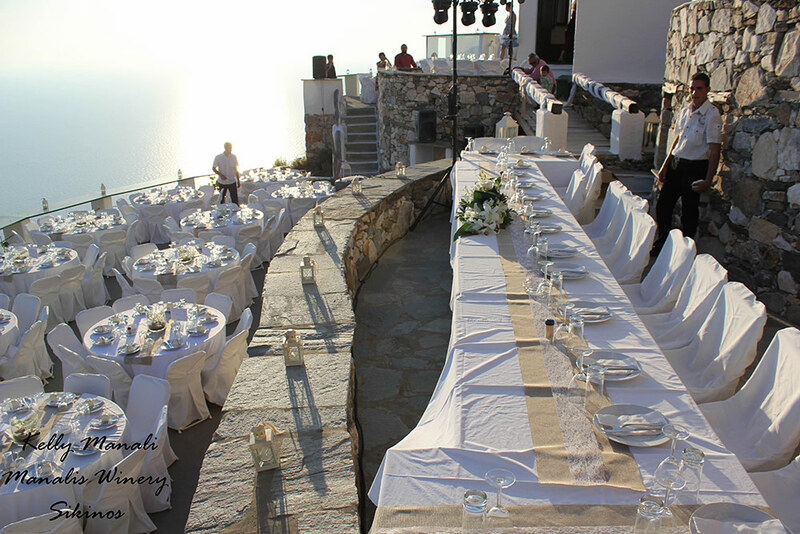 Also as our property is in 2 km distance from the inhabited settlement, you can continue the reception with a party at the strong pace until the early morning hours.